Mold and mildew can flourish in the home, particularly in bathrooms which are typically the dampest rooms in the house. 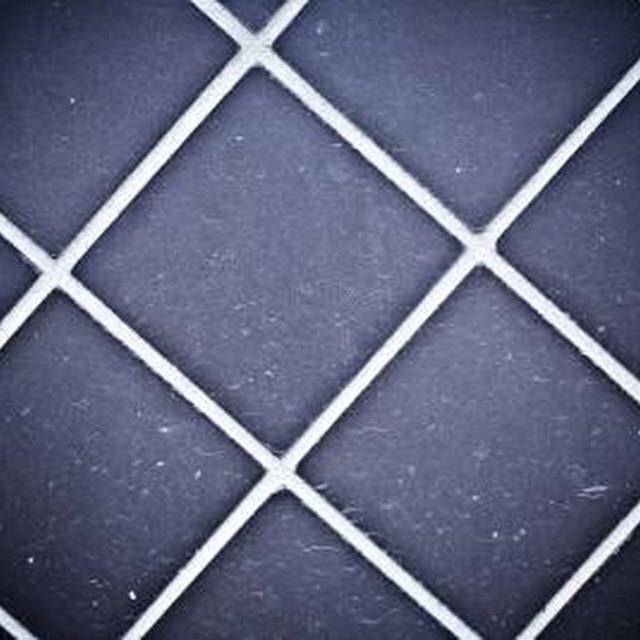 Tile grout is especially susceptible to mildew because moisture can collect in the recesses between tiles. Before reaching for a commercially prepared mildew remover, consider using a common household product to help clean mold off of grout. Mold thrives in the recesses of tile grout. Place latex gloves on your hands. Mix one part bleach with one part water in a basin or sink. Dip a cloth into the solution. Wring out the wet cloth and place directly on the grout affected by mold. Allow to remain for up to 60 minutes. Remove and rinse grout with water. Create a thick paste from a small amount of water, lemon juice and baking soda. Place paste directly on the affected grout and brush with a small brush or toothbrush. Scrub until the mold stain is gone. Rinse solution with water after scrubbing. Add 1/2 cup of 3-percent hydrogen peroxide with one cup of water to a spray bottle. Apply to grout affected with mold, spraying liberally. Leave solution on. Do not rinse. Repeat the process, if necessary. Mix only as much hydrogen peroxide and water solution as you can use at one time, as it will lose effectiveness when exposed to air. Open windows and doors when working with chlorine bleach.